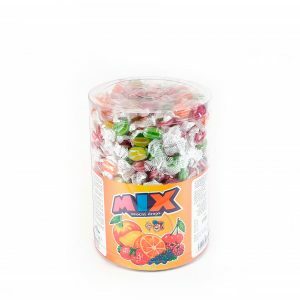 The company Jiří Šašinka – HORS was established in 1991 in Hodonín as the only producer of rock confectionery in the Czech Republic. It is a 100% Czech company that supplies several dozen products with many variations on the domestic and foreign markets. 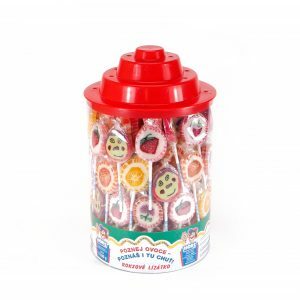 The main groups of products are rock flat lollipops, also ball lollipops, rock candies and drops. The flexibility of production processes makes it possible to produce and offer selected items even on special orders. 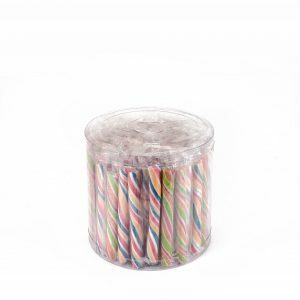 All items can also be produced as sugar free. The shelf life of all our products is 2 years. The company's target is to keep the high quality of all products ensured by careful selection of raw materials from renowned suppliers as well as proven system of selection and training of new workers and rigorous adherence to technological procedures and multi-level quality control. HORS is also engaged in the development of new products and technologies for its own need, which enables it to keep up with the world trends. The company complies with certificate system of critical points HACCP. Since 2016 we successfully pass the IFS certification audit every year. All these factors, together with an individual approach to the customer, lead to continuously increasing of production. In Czech Republic HORS products can be found in several retail chains (Ahold, Tesco, COOP, ENAPO, HRUSKA, CBA). We have many satisfied customers from over 20 European countries (Germany, Ireland, Netherlands, Spain, Slovenia, Denmark, etc.). Besides that our products are exported to the countries like Australia, Morocco. The fact that since 1995 the company has been regularly presenting itself at the world's largest ISM confectionery fair in Cologne is also responsible for the growing of export share. However, HORS also thinks of kids from children's homes who like to swallow, but do not have parents who can buy them sweets. Firma HORS myslí i na děti z dětských domovů, které také rády mlsají, ale nemají rodiče, kteří by jim sladkosti mohli koupit. That's why the Pyramid Project was launched in 2001, where HORS donates sweets every year to more than 30 children's homes. 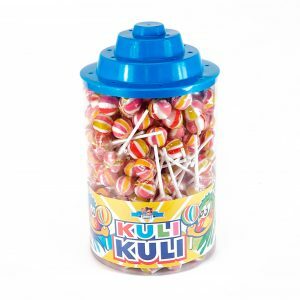 Lollies have always met with a great response to these children.